At The Bartolotta Restaurants, we are committed to excellence in every aspect of our business, from the products we source to the food and service we deliver every day in our restaurants and catering facilities. Our greatest asset in our company is our employees because, without great employees, we wouldn't be in business. We look for employees who have what we call a "hospitality heart." These people are committed to excellence just like we are and have a true passion for taking care of our guests. We're a family-run business and we consider our employees part of our family. Pizzeria Piccola - A Bartolotta Restaurant located in downtown Wauwatosa is looking for a Bartender for the upcoming patio season. Pizzeria Piccola - A Bartolotta Restaurant located in the heart of downtown Wauwatosa is currently looking for dependable food runners and bussers to join their team. Joey Gerard's - A Bartolotta Supper Club is located in the charming village of historic Greendale is currently looking for an energetic and outgoing Server Assistant to join their service team. Mr. B’s - A Bartolotta Steakhouse - Brookfield features a wide variety of prime steaks cooked to perfection in a high-heat wood-burning oven, which gives the meat a caramelized, buttery crust. Mr. B’s - Brookfield offers an extensive wine list and a broad menu, plus a lively bar and seasonal patio. 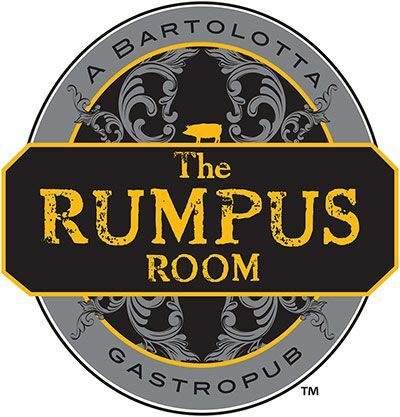 Rumpus Room - A Bartolotta Restaurant and Gastropub located in downtown Milwaukee on Water Street is currently looking for an energetic and outgoing Catering Manager to join the team. Bacchus - A Bartolotta Restaurant located in the Cudahy Tower in downtown Milwaukee is currently looking for experienced line cooks to work at one of the best fine dining restaurants in the Milwaukee area. Lake Park Bistro - A Bartolotta Restaurant located just off of Lake Michigan in downtown Milwaukee is currently looking for an energetic and outgoing Server Assistant to join their service team. Bacchus - A Bartolotta Restaurant is looking for a talented and energetic host to join their team! The Bartolotta Restaurant Group is looking for a Part Time Pizza Cook to join our team at Pizzeria Piccola in Wauwatosa. The Bartolotta Restaurant Group is looking for a Kitchen Supervisor to join our team at Pizzeria Piccola in Wauwatosa. Bartolotta Catering at The Italian Community Center is currently looking for an outgoing and dependable dishwasher to join our team! Mr. B's Steakhouse - A Bartolotta Restaurant is looking for talented line cooks to join their team. The Bartolotta Catering Company & Events is currently looking for qualified Bartenders to join our team. Mr. B's - Mequon - A Bartolotta Steakhouse is currently looking for energetic Server Assistants to work at one of the best fine dining restaurants in the Milwaukee area. The Bartolotta Restaurant Group operates a restaurant/cafeteria at the Kohl's Corporate Campus located in Menomonee Falls. We are currently looking for a Catering Server to add to our existing staff for the summer on a part time basis. The Bartolotta Catering Company & Events at Discovery World is currently looking for a daytime bartender to join our team. The Rumpus Room - A Bartolotta Restaurant located on Water Street is currently looking for line cooks to work at one of the best Gastropubs in the country. 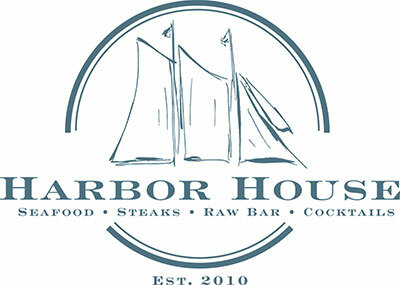 Harbor House - A Bartolotta Restaurant located in downtown Milwaukee is currently looking for prep cooks to work at one of the best seafood restaurants in the country! Harbor House - A Bartolotta Restaurant located in downtown Milwaukee is currently looking for experienced line cooks to work at one of the best seafood restaurants in the country! Harbor House - A Bartolotta Restaurant located in downtown Milwaukee is currently looking for an outgoing and dependable dishwashers to join our team! Mr. B’s - Mequon features a wide variety of prime steaks cooked to perfection in a high-heat wood-burning oven, which gives the meat a caramelized, buttery crust. Mr. B’s offers an extensive wine list and broad menu plus a lively bar. Harbor House - A Bartolotta Restaurant is currently searching for energetic, friendly and outgoing Host to join the team at one of the best restaurants in Milwaukee. Discovery World - A Bartolotta Catering & Events is looking for AM Cooks to join our team! Discovery World - A Bartolotta Catering & Events is looking for PM Cooks to join our team! Bartolotta Catering at Discovery World is currently looking for outgoing and dependable dishwashers to join our team! Bartolotta at Kohl's Corporate Campus is currently looking for a Part Time Barista to add to our existing staff. Bacchus is currently hiring a bartender to work evening and weekends. Bacchus - A Bartolotta Restaurant named one of the top restaurants in Wisconsin located in the Cudahy Tower in downtown Milwaukee is currently looking for an energetic and outgoing Server Assistant to join their service team. Mr. B's - Brookfield - A Bartolotta Steakhouse is currently looking for an experienced Server Assistant to work at one of the best fine dining restaurants in the Milwaukee area. 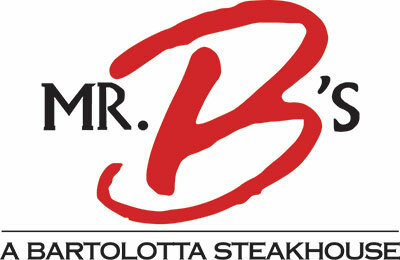 Mr. B's -Brookfield- A Bartolotta Steakhouse is currently looking for experienced servers to work at one of the best fine dining restaurants in the Milwaukee area. Mr. B's -Brookfield- A Bartolotta Steakhouse is currently looking for a hard working individual to join one of the best fine dining restaurants in the Milwaukee area. Mr. B's - A Bartolotta Steakhouse - Brookfield is currently looking for an outgoing and dependable dishwasher to join our team! Mr. B's Steakhouse in Brookfield is looking for a qualified Bartender to join their team. The Bartolotta Restaurants are currently looking for experienced Line Cooks to join our team! Harbor House - A Bartolotta Restaurant is currently searching for energetic, friendly and experienced Food Runners to join the team at one of the best restaurants in Milwaukee. 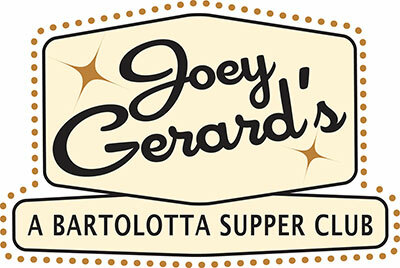 Joey Gerard's - A Bartolotta Supper Club located in downtown Greendale is currently looking for experienced line cooks to work at one of the best restaurants in the Milwaukee area. The Bartolotta Restaurant Group operates a restaurant/cafeteria at the Kohl's Corporate Campus located in Menomonee Falls. We are currently looking for daytime Line Cooks to add to our existing staff to work Monday-Friday with no nights or weekends. Kohl's Corporate Campus is not located on a Bus Line. Come and work for one of the most respected names in the restaurant industry! The Bartolotta Catering Company & Events at The Grain Exchange is currently looking for qualified Bartenders to join our team. The Bartolotta Restaurant Group operates a restaurant/cafeteria at the Kohl's Corporate Campus located in Menomonee Falls. We are currently looking for a daytime Dishwasher to add to our existing staff to work Monday-Friday with no nights or weekends. Kohl's Corporate Campus is not located on a Bus Line. Harbor House - A Bartolotta Restaurant is currently searching for energetic, friendly and experienced Servers to join the team at one of the best restaurants in Milwaukee. The Bartolotta Catering Company & Events is currently looking for qualified Banquet Servers to join our team for our upcoming busy season at The Grain Exchange in Milwaukee. The Bartolotta Catering Company & Events is currently looking for Banquet Servers to join our team for our upcoming busy season at Discovery World in Milwaukee. Harbor House - A Bartolotta Restaurant is currently searching for energetic, friendly and experienced Server Assistants to join the team at one of the best restaurants in Milwaukee. Italian Community Center - A Bartolotta Catering & Events concept located next to the Summerfest grounds is looking to add to its team, and is currently looking for prep cooks. The Bartolotta Catering Company & Events are currently looking for qualified Banquet Servers to join our team for our upcoming busy season. Bartolotta Catering at The Grain Exchange is currently looking for outgoing and dependable Line Cooks to join our team! Harbor House - located in downtown Milwaukee is currently looking for an outgoing and dependable bartender to join our team!